A cooling system is required when using your band saw with a diamond blade for cutting stone, tile, ceramics, gems, minerals, glass and other hard materials. Also when cutting steel and other hard metal alloys when using a regular toothed blade. The reservoir with adjustable valve dispense water/coolant directly on the cut to lubricate and cool the blade, preventing overheating and premature blade failure. 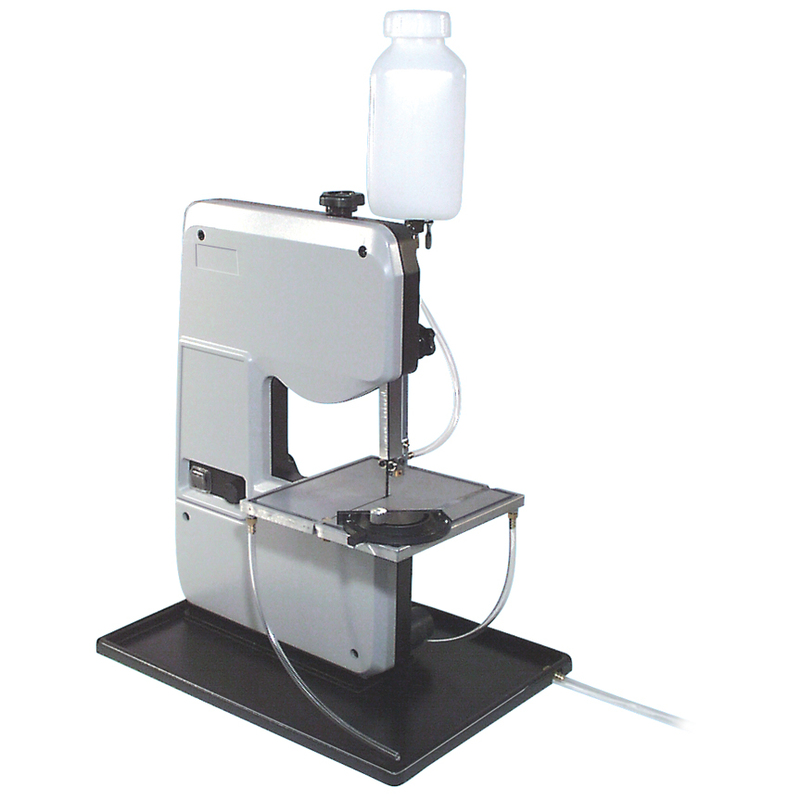 Unlike other water bath machines, ours won't splash water all over you and your workbench. Includes reservoir, valve, tubing, gasket, 12 inch x 16 inch collection tray and hardware.